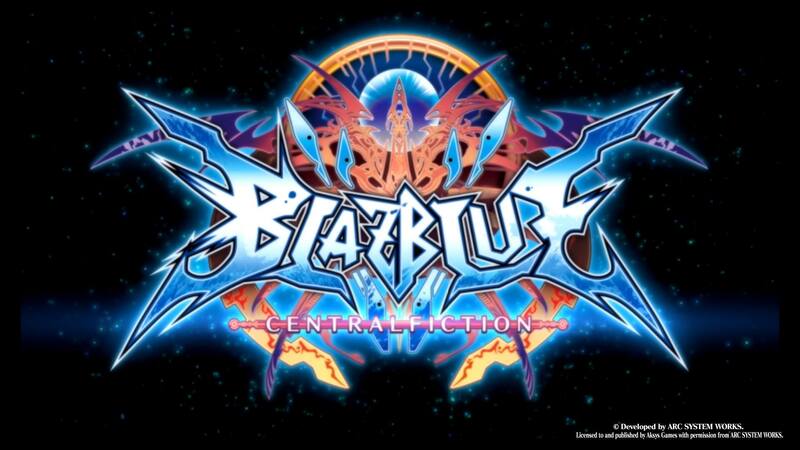 In Part 1 of the review for BlazBlue Central Fiction I covered how I felt about the game going into it, and how my opinion started to change after completing the Story Mode. Before I get into the second half of the review and place a score on this game, we should also talk about the release schedule for this series. Arc System Works received a rather notorious reputation among the general gaming public, and even the fighting game community, for having very slight changes between their next iteration of a fighting game. They started earning this reputation during the post-PlayStation 1 years of Guilty Gear. 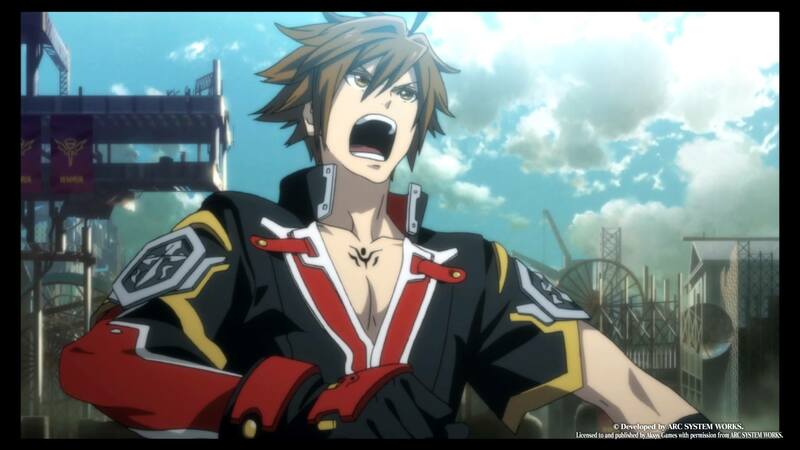 This trend did not really change much with their next franchise, BlazBlue. Even though the games are a lot different than the yearly installments of sports games, their frequency cannot be denied. I’ll provide a list of the games, and the year of the first release (always the Arcade release in Japan). I’m hesitant to criticize a developer too much for engaging in the business practices that they need to do in order to keep the lights on and make more games for us to enjoy. But the risk that you run by flooding the public with your games, especially when there are relatively few differences between releases, is creating a feeling of fatigue with the entire franchise. Those seven games only represent the fighting game entries. There were also side games and visual novels that were released in this series, but those are beyond the scope of this point. Perhaps it was indeed time that they retired this series, at least for the near future, and moved on to a new series of games with an all new story. They certainly needed to update the fighting engine. Even if the game convinced me that it was well worth the price and well worth playing, the graphics do them no favors and wanting your gaming public to purchase yet another game in this series is an increasingly difficult ask. Even Arcade Mode has some surprises. These games typically have a long arcade period in Japan before they reach consoles. Then it takes a while before they get localized outside of Japan. This one did seem to take a little extra time, but after that enormous Story Mode, I’m not particularly surprised. I do wonder how much the Arcade Mode changed between the actual arcade release and the console release. Even if it looks pretty standard on the surface, it has a very interesting surprise inside. The standard portion is that you engage in a series of eight battles with short story vignettes before and after particularly eventful portions. 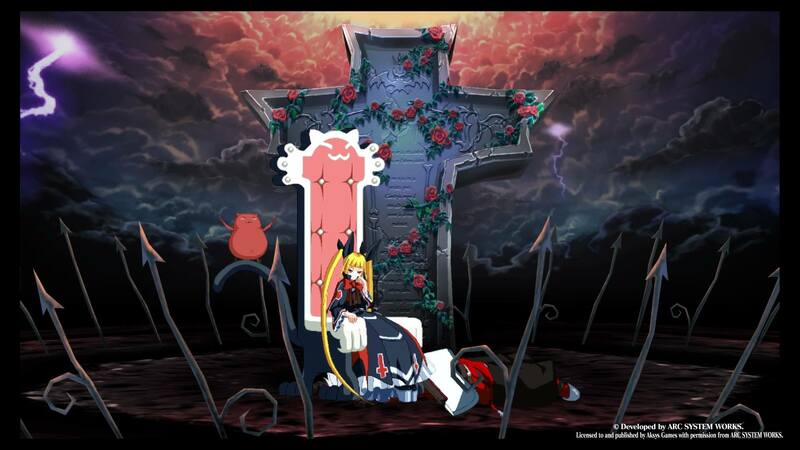 Ragna’s story largely echos the actual canon Story Mode, but many of the others are alternate takes. That is what I expected it to be going into the game. Where the Arcade Mode surprised me was the presence of three different story acts for each character. Each act tells the story of this game in three different parts, and each act has its own final boss and ending scene. Even in Arcade Mode there is more story than I was expecting in this game. Separating the Arcade Mode into three different acts provides two advantages. The first advantage is that it allows them to tell a lot more story in their Arcade Mode than they would have otherwise. You can skip those story scenes on subsequent playthroughs, so there is no real disadvantage to having even more story content. The second advantage is that by splitting it in three you can have your player fighting against a more diverse cast of characters (especially for new fighting game players that cut their teeth on Arcade Mode or are not interested in Online Versus). If you had all those characters in one single bunch, that would make the Arcade Mode really long and turn off players that would expect a bit more concise experience, as you would expect with fighting games. Considering that there are 41 characters, if you choose to purchase the DLC, and they have three acts featuring eight fights each, that is an enormous number of fights in your future if you want to see everything that the Arcade Mode has to offer. I will say that if you are an old school BlazBlue player who is even remotely proficient against humans, you will likely need to bump up the difficulty a little bit if you want some challenge. The difficulty selection works fine, but the default setting is rather easy. 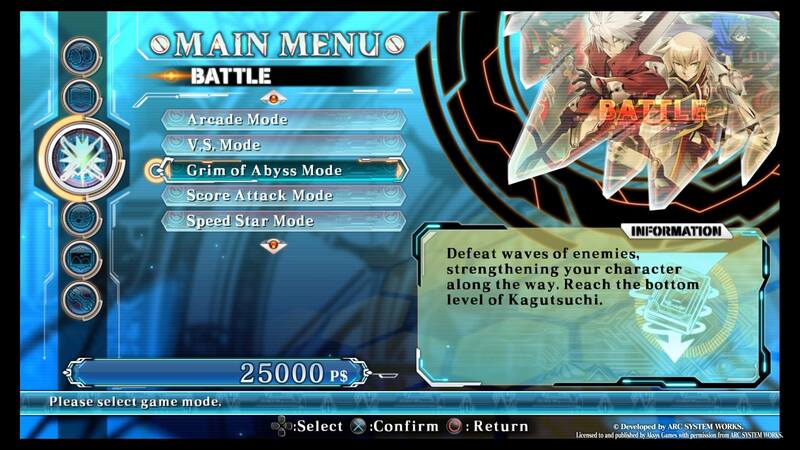 Survival modes are fairly common in fighting games. Speed Star is a bit different. At this point in fighting game history, if a fighting game comes out without a Survival Mode, you are more likely to be surprised than if it contains one. That’s not necessarily a criticism of their existence. They can add some extra life and fun to your game after you’ve played the Arcade Modes enough. Instead of a normal Survival Mode, they use Speed Star mode in this game. There are three different courses you can choose with your character, representing three different difficulty modes. (Note that the overall game difficulty from the menu only applies to Arcade Mode and Story Mode) Instead of a standard survival where you need to defeat as many enemies as possible until your health runs out, they flip that on its head here. The enemies can hit you, but they do no damage at all. Instead they are just taking up precious time. For anyone who plays BlazBlue a lot, you know that stringing together long combos is a pretty large part of this series. The lower-damage characters (such as Rabbit) require more focus on combos and finishers. You are given a certain amount of time to defeat the 16 characters in your path, and there is a shadow-colored character every four matches that is effectively a boss character. They are a little more powerful than the standard characters before and after them. What makes it extra interesting is that while you are trying to beat that enemy as quickly as possible, you are also given bonus seconds as a score depending on how flashy you are defeating them. This is especially important for this game because, due to damage proration, the longer combos will start to hit a damage wall, but you will also gain bonus seconds to your timer for those extremely long combos or very damaging moves. As a rule, be flashy and you will be rewarded. Those boss characters may be more powerful than the standard enemies, but they also give you double time rewards and they have additional time rewards and additional time penalties due to your performance. Some characters do a lot more damage per hit, so it’s important with low-damage characters to really get flashy. Astral Finishes give you a ton of return investment and stop the timer as soon as they hit, so for characters like Rachel it’s important to adjust your strategy. Overall I had a lot more fun with Speed Star than I did with standard Survival Modes, so it was a good addition to the game. Grim of Abyss Mode surprised me almost as much as Story Mode did. You can upload your score in the Speed Star Mode and you can also upload your score in your (much more standard) Score Attack Mode. 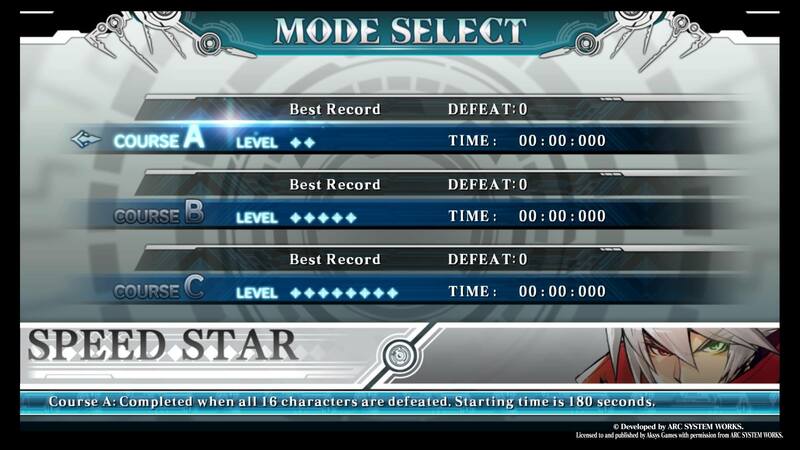 But the mode that I enjoyed even more than Speed Star was the Grim of Abyss. 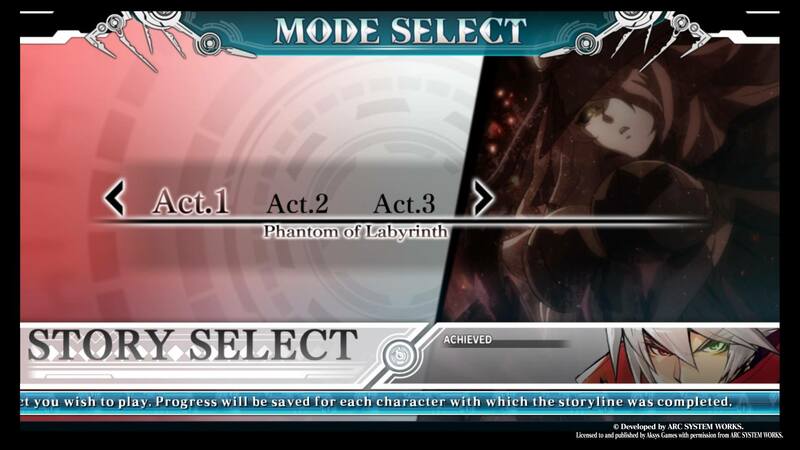 BlazBlue has had a fairly good history of adding some interesting bonus modes to their games, especially on the handheld ports. That was basically the largest draw, combined with a more robust Story Mode, to convincing people to double dip and purchase the game all over again long after the initial console release. Much like I mentioned in the Part 1 of this review with the Story Mode, this time they added all that content into the initial release, and the really robust new mode is Grim of Abyss. There has been some flirting of RPG mechanics with Arc System Works fighting games in the past, but this one goes even farther than those games of the past.